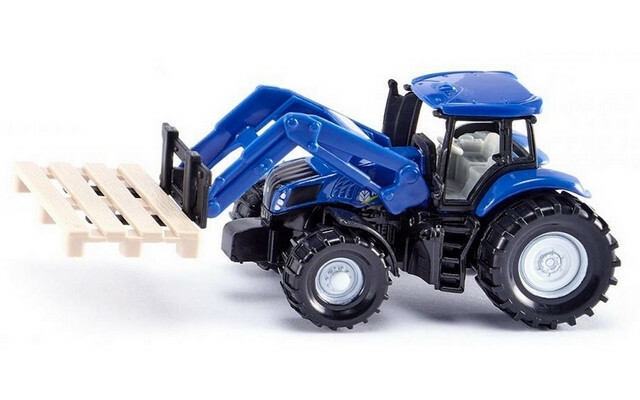 New Holland tractor with front loader linkage and pallet fork for the small loading tasks in the playroom farmyard. It is now child‘s play to use the tractor to pick up, transport, and stack individual pallets. A pallet is supplied as an accessory.